Today I'm talking with Paul Drake. Paul is a homeschool alumnus, software designer, and founder/director of Code Apprentice, a program that provides high school students the skills and guidance they need to get a job in tech after graduation. Paul is also a committed Christian, a passionate sports fan (Go Cubs!) and a classical piano composer. He currently lives and works in beautiful Charleston, South Carolina. If you're a high school student or a parent of a ... See More high school student who is interested in a career in computers and technology you probably know by now that learning how to code is important. Perhaps you've heard that the majority of tech companies will hire software developers who don't even have a college degree just as long as they have the skills. While there are many online resources that will teach you how to code, coding is still very challenging for most people and it's hard to know what are the right things to learn and the right steps to take to jump into an amazing career in tech after graduation. With Code Apprentice, students learn how to code online, but they're not learning on their own. Each student has a coding mentor, a professional software developer who can answer any question, guide the student as they learn, and work with them on assignments. Students who enroll learn the valuable skills that tech companies are looking for, build a coding portfolio and are given the resources and guidance they need to confidently pursue a career in tech after they graduate. Paul and I discuss his homeschooling experience and how that led to the founding of Code Apprentice. We discuss how the mentorship program works, how tech benefits local communities and more. Paul has extended a discount to listeners of the podcast. 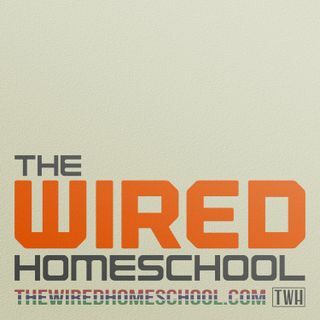 If you go to codeapprentice.tech/wiredhs and mention you heard about the program on this podcast you'll receive $120 off your first semester.